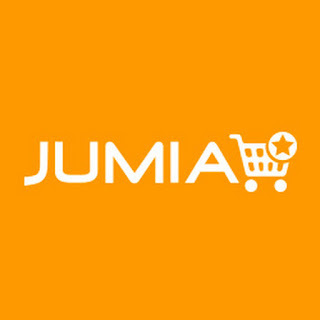 Jumia is the largest online retail store in Africa with over 100,000 unique visitors a day, buying everything from Fashion to Phones. Founded in 2012 in Nigeria, Jumia's mission is to revolutionize the concept of shopping by providing customers with the best online shopping experience. Jumia is part of Africa Internet Group, a leading global incubator of startups specialized in e-commerce. Africa Internet Group is Africa's leading internet firm, with already over 3,000 employees in over 20 African countries and huge successes such as Jumia.com, Kaymu.com, Hellofood.com, Lamudi.com, Carmudi.com and Jovago.com. It is led by top talented leaders offering a great mix of local and international talents and is backed by MTN, Millicom and Rocket Internet. Jumia Tanzania is seeking a vibrant Logistics Associate who will ensure smooth inbounding, outbounding, scheduling and tracking of packages. The Logistics Team plays a critical role in the experience of both buyers and sellers, and champions enthusiasm, attention to detail and operational excellence. • Receive packages from sellers by checking product correctness, quality and packaging. • Schedule packages for delivery by calling buyers and understanding locations. • Receive returns from buyers or shipping partners by checking reason for return, correctness and quality. • Ensure warehouses are clean, properly arranged and fully matched with systems. • Regularly communicate with shipping partners to track packages. • Support other Jumia teams in knowing where packages are at any time. • Welcome buyers, sellers and shipping partners to remote drop-off or pick-up stations. • Ensure financial closures are coordinated daily with the Finance Operations Team. • Build synergy with other Jumia venture logistics teams to win economies of scale. • Constantly log innovations or companies in the field of logistics, in Tanzania and globally. • Degree in Logistics, Procurement, Finance or Business Planning. • At least 1 year of experience in handling shipping, freight, forwarding or general logistics in Tanzania. • Confidence in working with people from various backgrounds. • Fluent in written and spoken English and Swahili. • Ability to work and learn independently in a fast-paced office environment. • Experience working with international teams and online tracking systems preferred but not required. • Successful acquisition of large (branded) vendors on Jumia. • Promotion of Jumia platform within the supply chain and vendor ecosystem. • Analysis of data, industry trends and supply chain, to identify key products, categories and accounts to acquire. • Manage large (branded) vendors day to day, to become successful on the Jumia Platform (incl. promotion activities). • Ready to get involved and lead in other parts of the business (incl. Marketing and Sales activities). • 3+ year experience in Sales or Business Dev. To join the journey, please send your resume with an appropriate subject line to: yahya.kajembe@jumia.com. Only shortlisted candidates will be contacted.